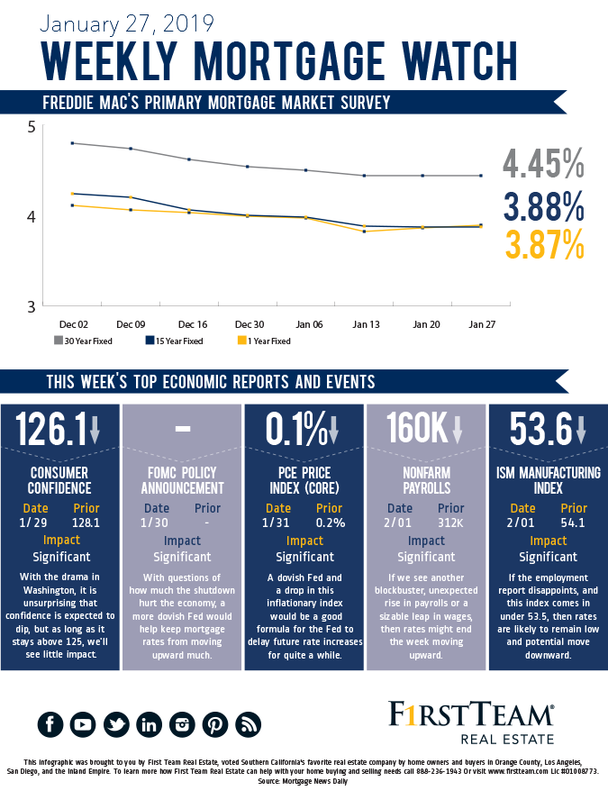 Last week saw mortgage rates continuing to tread water, during a week of limited economic data and political posturing. The data that was released continues to point to a decelerating economic climate. 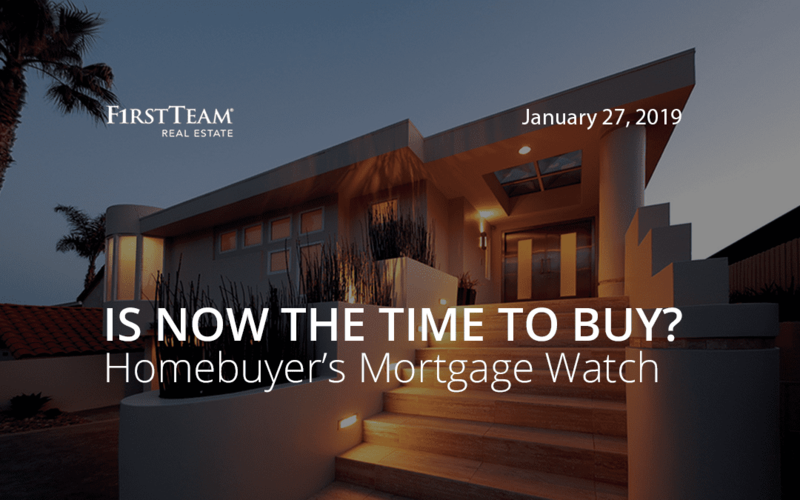 The LEI posted a negative reading and Existing Home Sales slowed. With the shutdown over, for now, we should see some agencies playing catch-up. This may very likely lead to market volatility. This week could be volatile for financial markets. If some of the shuttered agencies manage to release data, we could see rates pushed about. The Fed also meets, with limited expectations of a rate increase. If the policy statement, or more likely, the post-meeting press conference expresses strong concern for the impacts of the shutdown, and potential for another, then rates might remain low until we see how this political drama plays out. Many other significant reports are also due this week including January’s employment report and the ISM Manufacturing Index. If both of these reveal a tempered economic climate, rates will have even less tendency to move upward for the week. So Many Boomers. Where Will They Go? Folks that are 60 and up comprise a large segment of the US population, and as they hit retirement age, many are moving. According to recent research by Realtor.com, southern states are seeing an influx of retirees. Between the sun, often lower income taxes, and reasonably affordable real estate, the sun belt continues to grow. Punta Gorda, FL boasts an over-60 population of 47% of the town, while Cape Coral has over 35%. Prescott, AZ’s boomers account for 40% of residents.